Singapore Freebies: SingTel: Enjoy Free Starbucks Caffe Latte Giveaway!! SingTel: Enjoy Free Starbucks Caffe Latte Giveaway!! 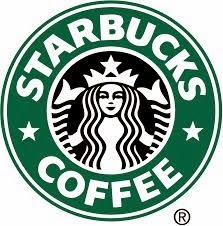 and be surrounded by friendly service and great music at any Starbucks store. Valid for the first 5,000 redemptions from 11 November to 24 November 2013, whilst stocks last. Only 1 redemption is allowed per customer per Dining category. All redemptions submitted cannot be cancelled or withdrawn or amended. Voucher will be mailed to you via the billing add of your designated billing account with SingTel within fourteen (14) working days upon successful redemption. Voucher is valid only for redemption of 1 tall sized Caffe Latte and is not exchangeable for other beverages. Voucher is not exchangeable or refundable for cash, products or other services. SingTel reserves the right to terminate, suspend or cancel (in whole or in part) this promotion/redemption. SingTel reserves the right to replace this promotion/redemption with items of similar value. Terms and conditions of SingTel and/or Starbucks Coffee Singapore Pte Ltd may apply in addition to these terms. Costa Coffee: Enjoy Buy 1 Free 1 Promotion! !